If you need a new key for your car, just contact our locksmith to be able of remaking car keys. On top of that, we will ensure that you are not stranded with a jammed ignition because we will carefully bring the ignition to its normal performing condition. If you are not comfortable with the repair of the ignition, we can make a new one for you. 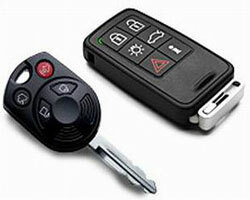 Our locksmith can also help you with your "smart key" if you own such new car model that requests a smart key. We are here for your vehicle emergency needs. We are skilled with ignition repair/installation. From keys breaking and/or needing removal from all ignitions or for any late/early hours car lock out service we will be there for you! We only employ experts that will handle your car with care, without scratching or harming it. We realize how precious our clients' cars are to them, and therefore know that professionalism is there mainly to prevent any additional harm. Working in the automotive locksmith industry, we make it our duty to be up to date, and learn about every new security car mechanism that comes to the market- including your own.